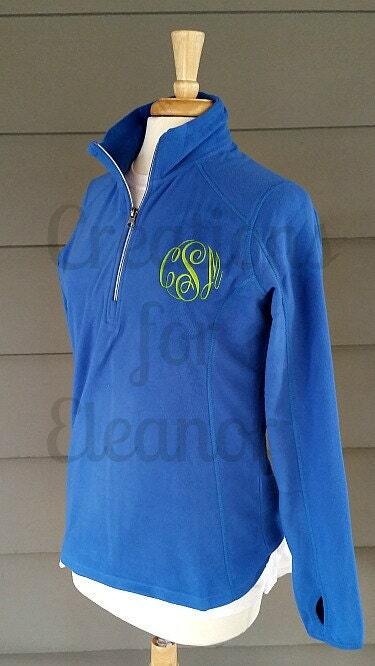 A simple monogram updates this microfleece coat and makes it perfect for you...or to give as a gift. Add a layer of warmth with our extra soft, cozy microfleece coat. Lightweight, with an anti-pill finish, this cool-weather essential is constructed from 7.5-ounce, 100% polyester microfleece. 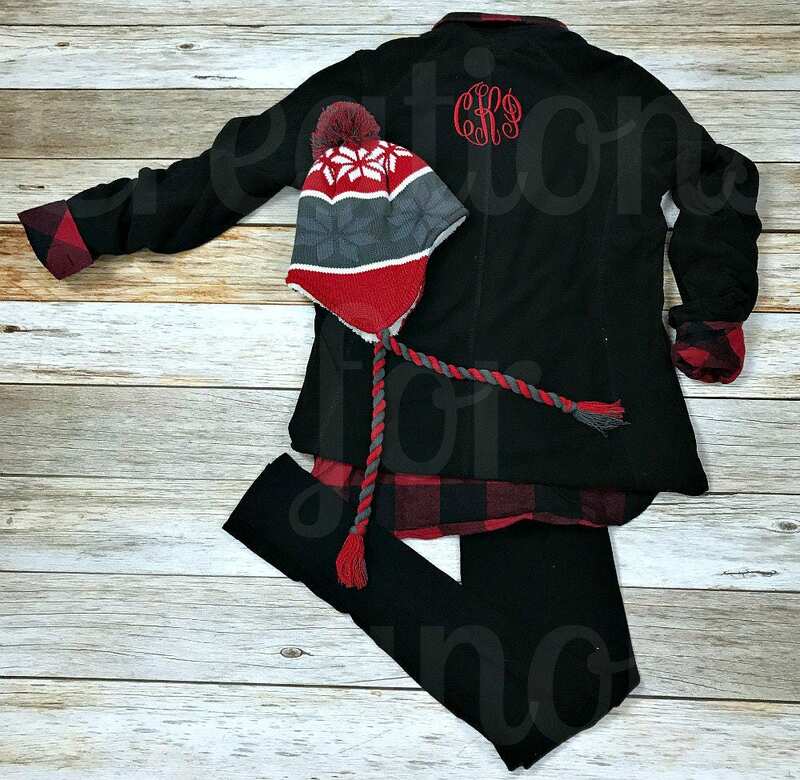 The coat has 100% polyester tricot pockets, a gently contoured silhouette, clear coil zipper with dyed-to-match chain stitching and taping; grey chain stitching on White. 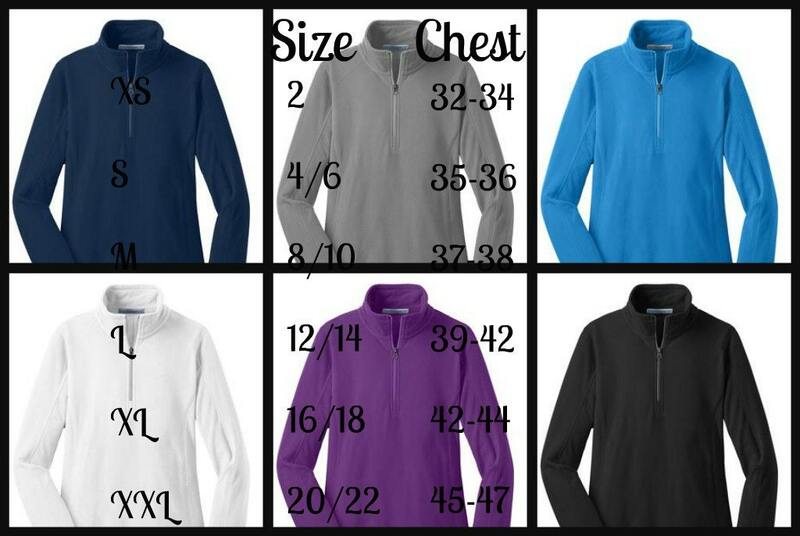 Non-zippered front pockets and a open hem and cuffs..
For accurate sizing refer to the size chart. 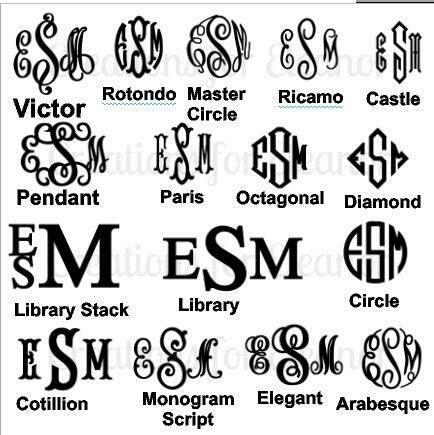 Please indicate the monogram in order first LAST middle. 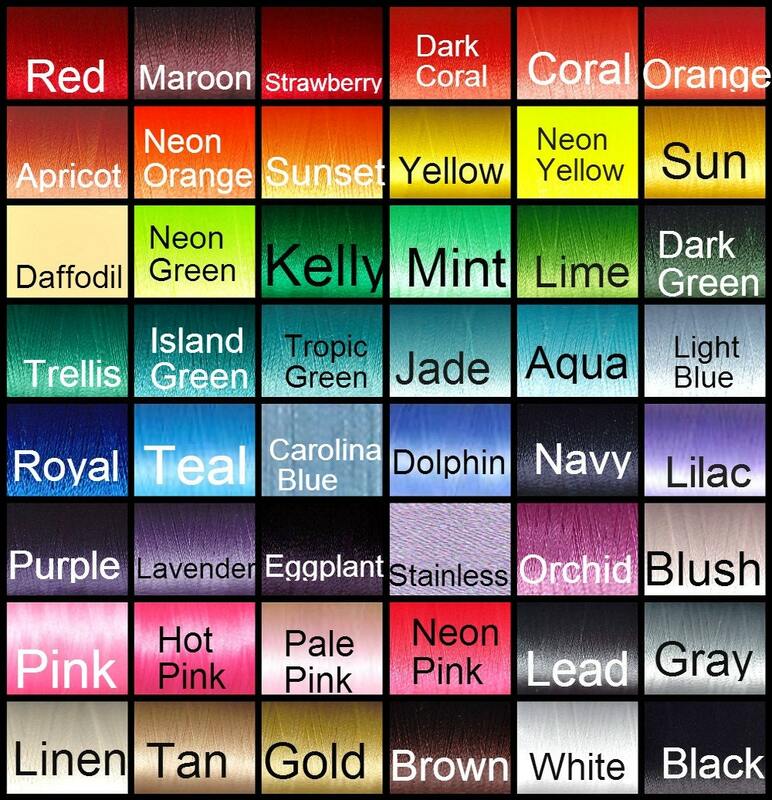 Also indicate your font choice and thread color.